So there’s been a lot of hashtaggery of late. We’ve seen usage spread virally and organically around things like social upheaval, natural disasters, the Olympics and a multitude of marketing campaigns. But what do they all mean? Should I even pay attention to them? Since the earliest days of Twitter, folks saw the need to be able to categorize tweets into topical use. @ChrisMessina is credited with kicking off the hashtag craze back in ’07. Since, we’ve seen lots of creative uses from marketing campaigns to crowdsourcing news to citizen journalism. Let’s explore the different forms of hashtags and the ways folks use them to connect. Here’s a neat rundown of these uses, all important in how we interact (and track) the social web. Hashtags can vary in use from sharing content at events like #SxSW or the #Olympics to topics like #SocBiz or #IntentionEconomy or memes like #parenting, #FF or #LadyGaga. Though declining in usage, some tools have made creative use of hashtags to cross-post content across social channels. #in would send tweets to one’s LinkedIn status while tools like Selective Tweets would enable one to post to Facebook with #fb. Often subject to parody, companies are still quick to create custom hashtags for a variety of uses. @Applegate Farms asks #WhatsInYourHotDog? 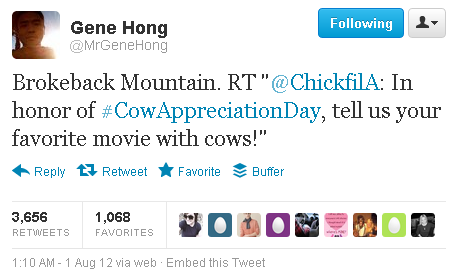 while @ChickfilA promotes #CowAppreciationDay to market its chicken sandwiches. Have you seen #fail lately? I bet you have. The twitterverse likes this one, especially in the realm of customer service complaints. We often see hashtags co-opted for parodies of their original intent. McDonald’s attempt and building a community of its patrons with #McDStories has taken on a life of its own, as the fast-food chain is an easy target. The marketing #fail, as it were, doesn’t end there. As blogged by @TylerAltrup, Sports Illustrated magazine missed a whopper of a Twitter conversation surrounding last winter’s craze around NBA player Jeremy Lin. 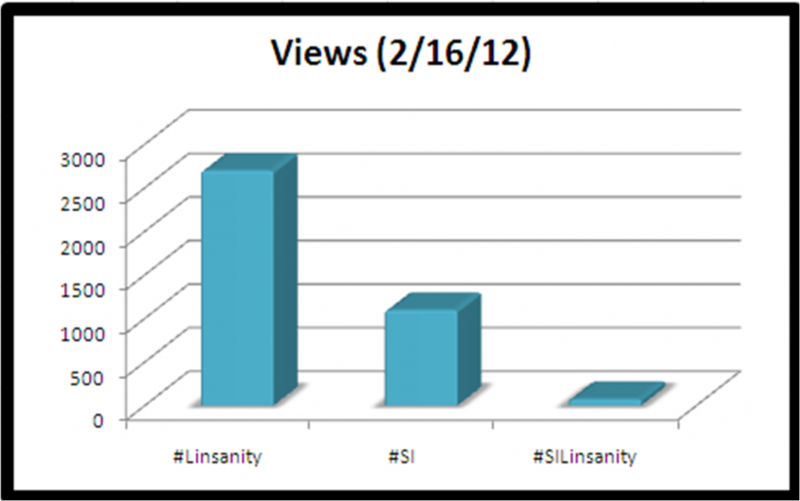 Already (and still) swirling tweets at #Linsanity clearly outpaced the forced conversation SI hoped to create for itself at #SIlinsanity. At that time, @SInow could have benefited from a very captive audience all tweeting about basketball. I guess they missed the lay up. I often see hashtags smashed together by brands for the sole purpose of branding a hashtag. This isn’t necessarily bad in and of itself, but you should have a Twitter strategy to support such usage. Let’s take another look at the Olympics. The general twitterverse is using #olympics, with some iterations that Twitter is tracking. But here in the US, TV network NBC has broadcast rights to the Games, and are using #NBColympics to promote their related content. NBC isn’t limited to its smashtag use, either. They’re doing it well, BTW. But here comes the bashtag. #NBCfail is sharing sentiment surrounding the social and technical growing pains NBC’s audiences are experiencing. There are widespread complaints (not just limited to NBC) of spoilers on the web ruining the primetime TV experience NBC has traditionally relied upon. Twitter recently added a variant to the hashtag… the cashtag. Instead of tagging a work with # to create a hashtag, the dollar sign ($) added to a stock symbol will link to other tweets ostensibly talking about that specific company. See $EMC or $AAPL. This mimics functionality previously developed in StockTwit’s products. A new trend coming to Twitter is the #want hashtag. This one in particular will become extremely relevant in the coming year or 2 as companies and retailers begin to realize the power of consumers. There’s a new discipline related to customer relationship management (CRM) practices that social media is up-ending. A new practice of vendor relationship marketing (VRM) is emerging where consumers break free of retail consumption and make purchasing decisions based on needs communicated to vendors. #Want will become one means by which these needs are shared. 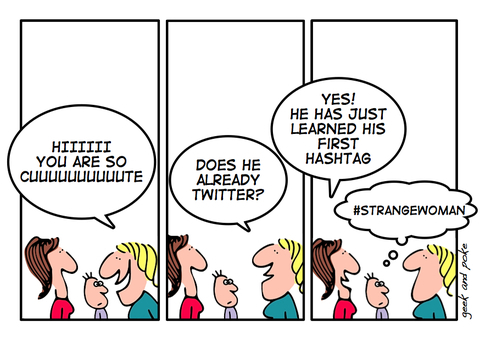 How else are you using hashtags? Share below! Big Data is talking. Are you listening?